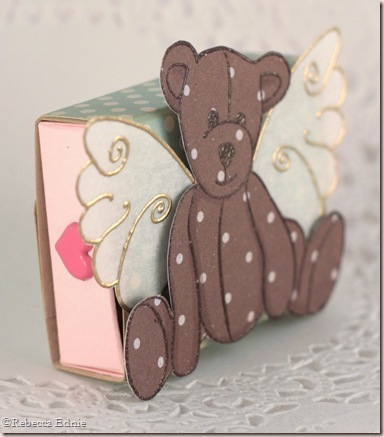 Another Swap-Bot swap to make a matchbox with a focal point that has wings. I just love this little bear. 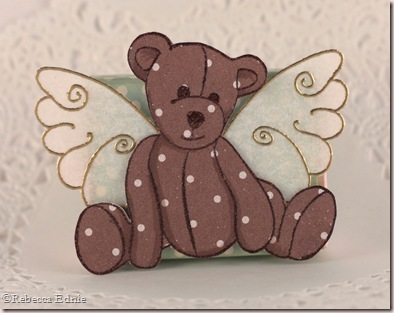 And don’t those wings look so cute stamped in gold embossing? There isn’t too much to say that isn’t answered by a recipe.